In autumn, days are sometimes quite foggy without a clear view on our cosmos and surroundings like a bridge leading to nowhere. Then it is sometimes better to just simply move and cross the unknown profound abyss such as a hanging rope bridge in 100 m altitude where you can feel like a bird swinging with the wind. 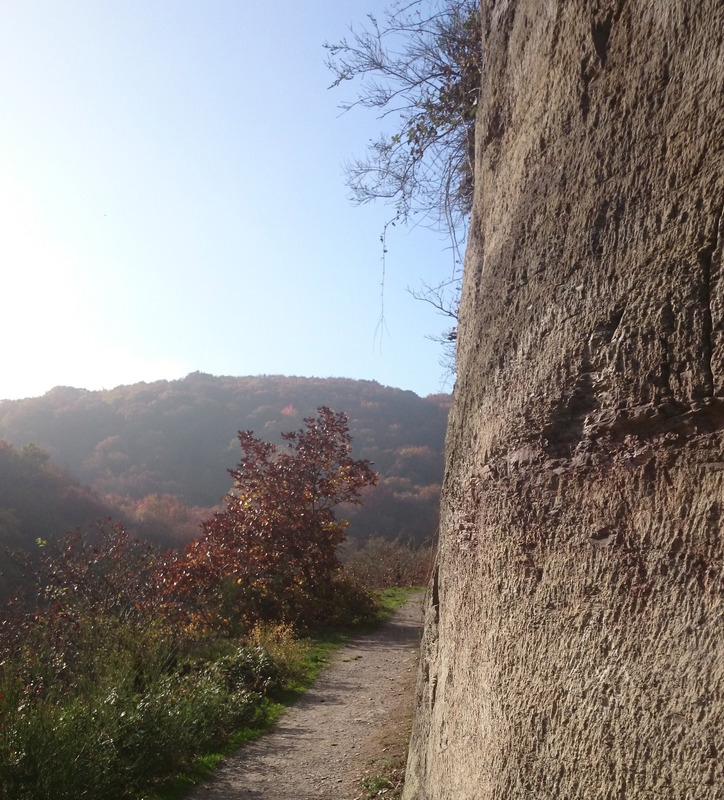 Soon an unknown trail with all the colours of autumn will open leading to a new challenging landscape to be discovered. Time to say hello and welcome to an alien trail leading to anywhere. This is not the longest bridge like that in Europe, actually the longest kind of this bridge is to be found in Austria (400 m), but in Switzerland they are actually constructing an even longer one (465 m). But for sure, this bridge on my documentary photo is very safely constructed, passing a street as a pedestrian is definitely more dangerous. This is wonderful, but can be disconcerting as well. Lovely autumn colours. Yikes. 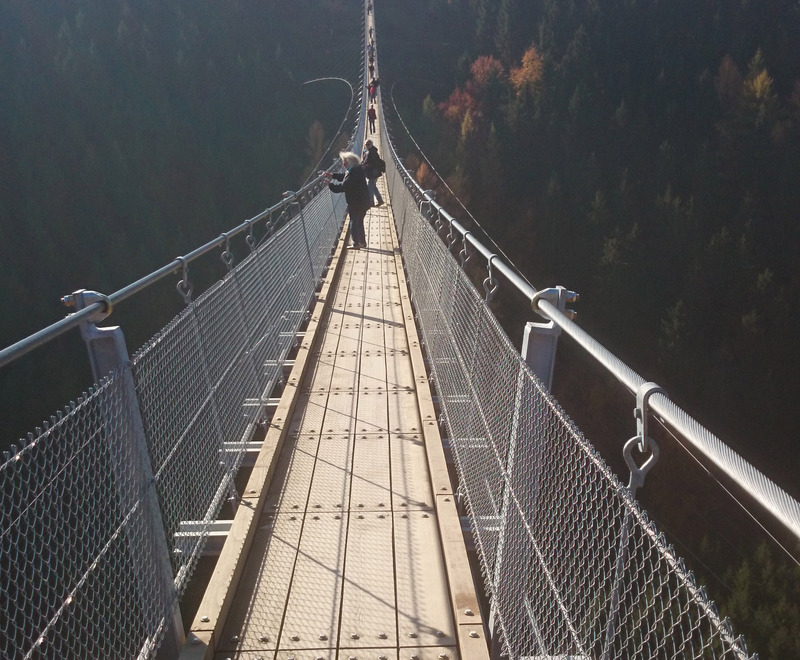 Does that bridge wobble or swing when you walk on it? If yes, double yikes. I am not a fan of heights. Pingback: Tuesday Photo Challenge – Round Up 83 – Dutch goes the Photo!